No. 10 TCU will conclude its regular season against the No. 21 Oklahoma Sooners and the No. 26 Oklahoma State Cowboys this weekend. The Frogs have gone 2-2 in their last four games, with wins over No. 29 Texas Tech and No. 8 Texas A&M and losses at No. 6 Baylor and No. 4 Texas. Oklahoma stands at 14-7 on the year, with a 2-4 record in its last six matches. All four losses occurred on the road against No. 9 Texas A&M, No. 11 North Carolina, No. 7 Baylor, and No. 23 Texas Tech. The two wins were against South Florida and Oklahoma State. The Sooners stand at fourth out of six in the Big 12 standings with a 1-2 record in conference play. Oklahoma’s best singles player is No. 31 Spencer Papa who stands at 8-4 in the No. 1 singles spot. In May of 2017, Papa won the 2017 NCAA Division I Men’s Tennis Doubles Championship title with then-senior Andrew Harris. Spencer Papa will look to lead an upset at home against a strong TCU side this weekend. Photo courtesy of SoonerSports.com. Papa was injured the entire 2018-19 season and was allowed to return for one final season this year. The No. 2 singles man, No. 63 Jake Van Emburgh, has complied an impressive 9-2 record at the position and will face a skidding No. 24 Alastair Gray of TCU. Oklahoma State and TCU played earlier this season during the ITA Kickoff Weekend back in late January. TCU took the win 4-0, knocking OSU out of the ITA tournament. The Pokes own a 14-8 record and stand at fifth in the Big 12 with a 1-2 conference record. Oklahoma State’s home record has been outstanding at 8-1, while its road record is a poor 3-7. Matej Vocel will look for revenge against the Frogs this weekend when TCU comes to Stillwater. 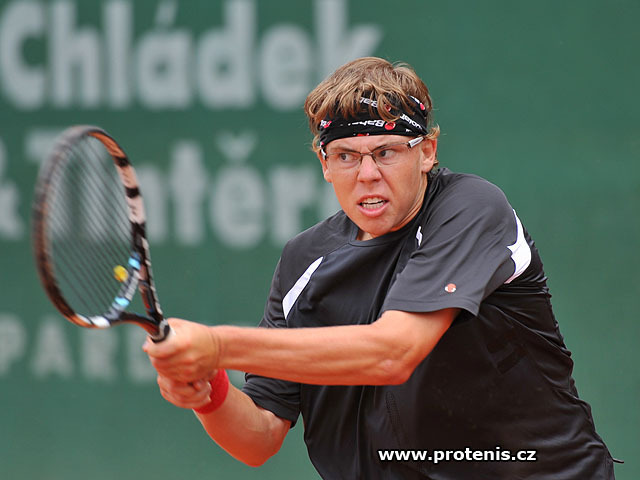 Photo courtesy of Protennis.cz. Sophomore No. 76 Matej Vocel is the only ranked Cowboy in singles and owns a 9-6 record on the year. After winning the Big 12 Regular-Season Championship in each of the last three seasons, TCU is on the brink of falling out of contention. With a sweep this weekend, the Frogs will finish at 4-2 in Big 12 play, and they will need both Texas and Baylor to lose out, as both already have three wins and hold head-to-head tiebreakers over the Frogs. If TCU loses to either Oklahoma or Oklahoma State, the Frogs will be eliminated from contention for the regular-season title. The Oklahoma match begins on Friday at 6 p.m., and the Oklahoma State match starts at 1 p.m. Sunday. Both games will have live scoring updates and the Oklahoma State match will be live-streamed via GoFrogs.com.